A realistic block set for colossal constructions! 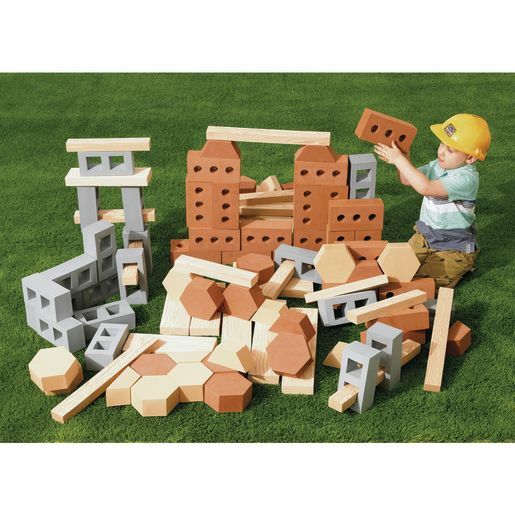 Soft, lightweight foam building blocks designed to look just like real cinder blocks, bricks, planks and concrete pavers. Easy-to-clean, dense foam material for indoor and outdoor block play. Longest plank is 18"L. Smallest block is 7-3/4"L x 3-3/4"W x 2-2/3"H. 99 pieces total. Helps teach early STEM principles of engineering and construciton.